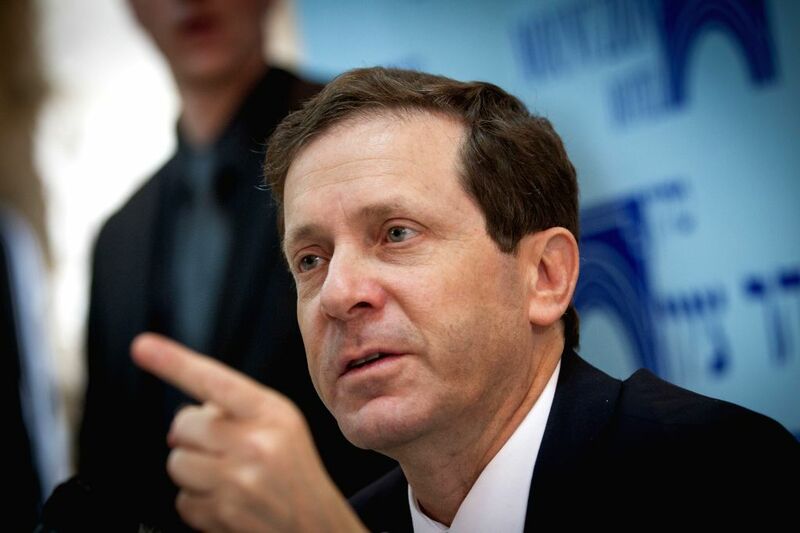 JERUSALEM, Feb. 25, 2015 - Isaac Herzog, head of Israel's centre-left Zionist Union coalition, attends a press conference at the Mt Zion hotel in Jerusalem, on Feb. 24, 2015. Israel's opposition leader promised on Tuesday to revive peace talks with the Palestinians and curtail Jewish settlement construction in the West Bank, should he win the upcoming March 17 elections. Speaking at a press briefing in Jerusalem, Isaac Herzog said he would stop Jewish construction outside major settlement blocs.